This selection contains whole plate (6.5″ x 8.5″) tintypes and ambrotypes. Each image may be shown as an object without reproduction, or may be presented as archival pigment print at a larger scale. I have limited edition prints available in sizes up to 23″ x 30″. Two of my submissions were selected for the upcoming Alternative Processes exhibition at the SE Center for Photography in Greenville, SC. The opening will be May 5th (6:00-8:00 p.m.). The juror for this exhibition is Jill Enfield, an internationally known alternative process artist and educator, who teaches at Parsons The New School for Design in New York City. Jill has written and lectured extensively on photography. She recently published, Jill Enfield’s Guide to Photographic Alternative Processes: Popular Historical and Contemporary Techniques. She will attend the opening reception and is scheduled to give an albumen printing workshop at the SE Center for Photography on May 6-7. Tintype Portrait of Vanessa. 19th century wet plate collodion process. Tintype Abstraction #2: archival pigment print from a tintype. I have two limited edition 20″ x 30″ archival pigment prints at Mary Praytor Gallery in Greenville, SC. These are from high resolution scans of my 6.5″ x 8.5″ wet plate collodion tintypes. Portrait of Julie (first below) won the Award of Excellence at the 2016 Artisphere Juried Artists of the Upstate Exhibition. Each print is from an edition of five. For availability and prices, contact the gallery directly. Portrait of Julie – 20″ x 30″ Archival Pigment Print (2016). As part of Alternative Processes: A Group Photography Show, I gave a visiting artist talk, along with photographers Kim Sholly and Blake Smith, in the Vandiver Gallery of the Thrift Library at Anderson University on February 2, 2017. We had great attendance for the opening event of the spring semester. The gallery was packed with students from the Department of Art and Design at Anderson, as well as a large number of interested students other departments. Alternative Processes is concerned with non-digital photographic processes, and most of the work in the exhibition was made using the historic 19th century wet plate collodion process, along with traditional black and white darkroom processes. Yesterday, I was so pleased to meet Sally Mann, one of my favorite artists. She was at Malaprop’s Bookstore in Asheville, NC to read from her recent memoir Hold Still, and she signed copies of it afterwards. For over a decade, two of her beautiful photography books, Deep South and What Remains, have been in my collection as points of reference, and I got Hold Still as a gift last year. It is superbly written. Most people don’t know that Mann’s first love was writing. She has an MFA in creative writing from Hollins University. I have admired Mann’s photography since first seeing it in books, and then seeing it exhibited in New York City galleries. In a time when most photographers have abandoned film and fully embraced digital image making, Mann remains staunchly analogue in her approach to the medium. 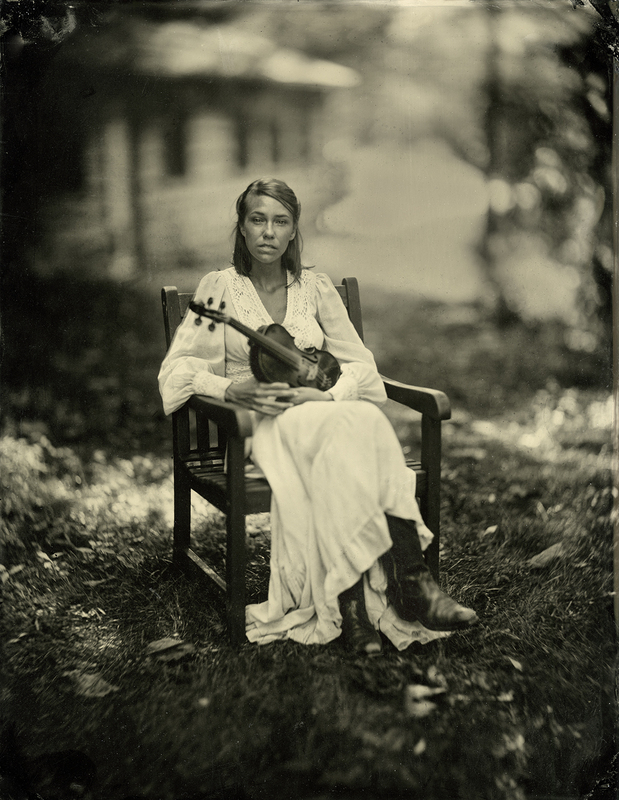 In fact, for much of the last 20 years, she has used the 19th century wet plate collodion process to create her images. It is a labor-intensive, chemical process that is subject to accidents and contamination that Mann refers to as “serendiptious.” Each emulsion on glass or metal must be hand-poured. It is often the accidents of the process that, to use her words, “miraculously transform” an ordinary scene into something incredible. The line outside Malaprop’s to see Sally Mann. Mann has a passionate following among artists and those interested in photography, and this was on full display yesterday. Her reading at Malaprop’s was standing room only, and many people (myself included) had to wait outside for the book signing. The line to see her was out the door, stretching down the block and around the corner. It got longer as the evening progressed. Driving up from Greenville, SC, my wife and I had been delayed by a traffic accident on I-26, not arriving in Asheville until twenty minutes before the event was to begin. It was clear from the long line that we had little hope of gaining admission. Through Malaprop’s window, I caught glimpses of Mann as she read, and could hear parts of what she was saying. After an hour online, when the Q&A session ended, we were allowed to move inside and form behind those already in the store to have books signed. I’d brought Hold Still, as well as What Remains and Deep South. When my turn came to speak with Mann, I told her that I thought I’d overdone it with my enthusiasm. Mann was gracious enough to sign all three books, and we talked a bit about the wet plate process. We also talked about a few of the people we know in common through this archaic process. It was the sort of thing I wish could have been done over coffee with her for an afternoon! But as long as the line was and with as many people as there were still behind me, I moved on. As an MFA student in photography at Parsons School of Design, I did my thesis work at Gettysburg. I had been studying the images of the Civil War and was haunted by their tonal quality. The optics of 19th century lenses, especially Petzval designs, and the time-based aspect of long exposures also interested me, the way a sudden movement would render someone ghostly, or the rush of wind would move tree limbs to change a scene entirely. It was through seeing both the 19th century wet plate images as well as Mann’s exquisite and emotionally powerful contemporary work with that process that I became interested in learning to do it myself. 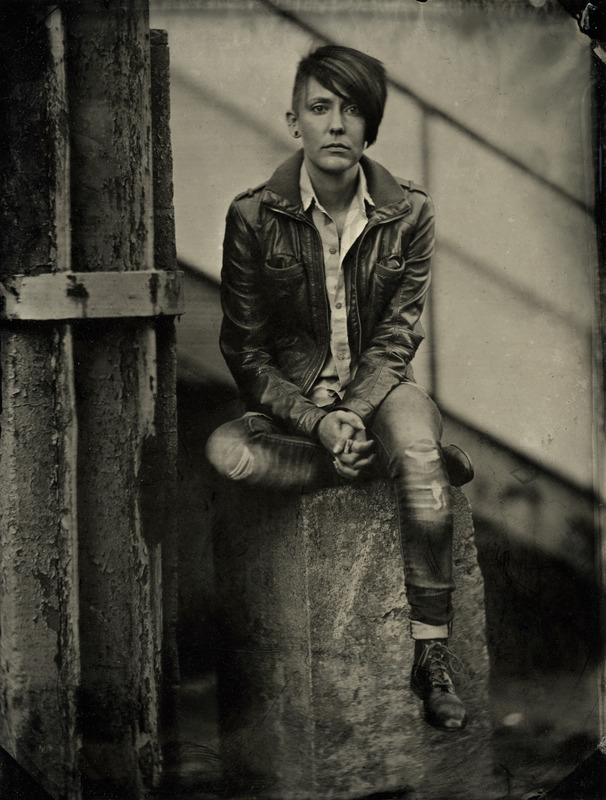 I took a wet plate workshop with Eric Tubman through the Center for Alternative Photography (now called Penumbra Foundation), and later took a workshop with wet plate master John Coffer. Image by Sally Mann from Battlefields. Wet Plate Collodion Glass Plate Negative. The idea of working very close to home has always been important to Mann, as well as working with the land to which, being Southern, she has always had a very strong connection. In What Remains, the 2005 documentary about her life and work, she says, “I’ve nothing be respect for people who travel the world to make art, who put exotic indians in front of linen backdrops. But it’s always been my philosophy to try and make art out of the everyday and ordinary.” It is no wonder that one of my other favorite artists, photographer William Eggleston, shares this view. I also agree wholeheartedly with another of Sally Mann’s philosophical points: that if you cannot photograph the things you love, then you cannot make good art. This is something I’ve thought about a lot and put into practice in my own art since returning to South Carolina after a sixteen year sojourn in Brooklyn and the Bronx. I am very pleased that I had two works accepted into the Artisphere 2016 Artists of the Upstate Juried Exhibition. One of those works, Portrait of Juile, won the Award of Excellence, and was announced at the opening reception on the first day of Artisphere, Friday May 13th. My work was a 32″ x 40″ archival pigment print on Epson cold press paper. 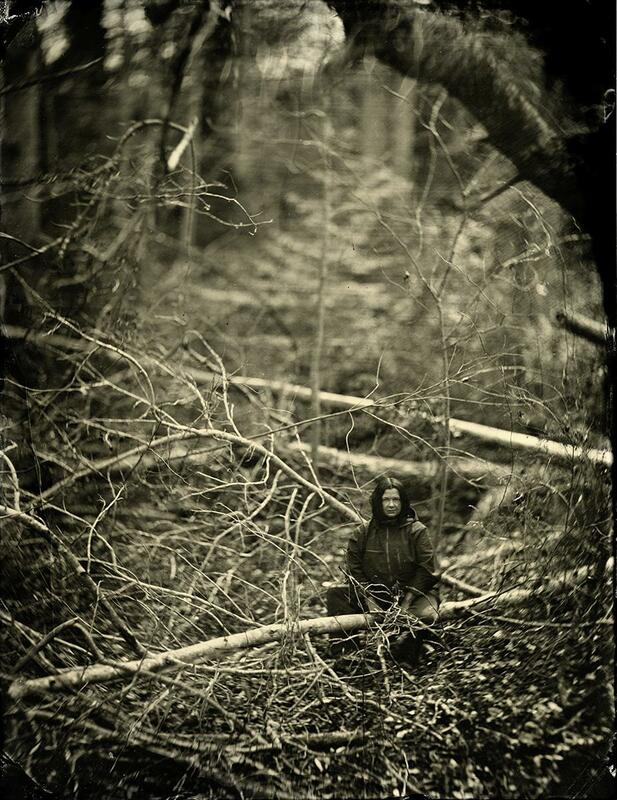 The image is from one of my original wet plate collodion tintypes. The award was presented by Alan Ethridge, Director of the Greenville Metropolitan Arts Council. Julie’s parents, Rev. Bob Chiles and Christine Zimmerman Chiles, were at the reception along with my wife, Debbie Rice. Julie posed for my tintype on location at Tigg’s Pond in Zirconia, NC. Julie is a very talented musician in The Buck Stops Here, a bluegrass band that just released their first album. She had her fiddle with her in the shot and was wearing her mom’s wedding dress.